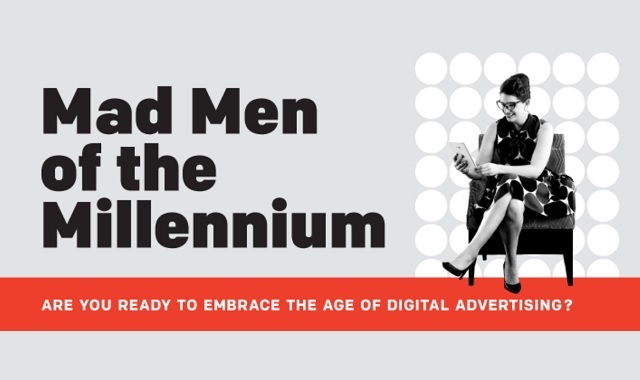 Are You Ready to Embrace the Age of Digital Advertising? #infographic ~ Visualistan '+g+"
The world has come a long way since Mad Men first set foot on Madison Avenue. Not only have the clothes changed, but so too have the roles, skills, and opportunities. Due to vast technological advancements, the marketing landscape has shifted from print to digital, creating opportunities for advertisers that yesterday's Mad Men never could have dreamt of.